With over 32,000 instructional videos and Video Exchange™ music lessons and students in 58 countries, ArtistWorks is now the leading provider of subscription based music instruction. 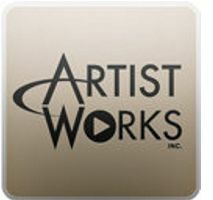 ArtistWorks uses its patent pending Video Exchange™ learning platform to create interactive online schools for high-profile music artists to teach their instrument online. ArtistWorks is benefiting from the increasing trend of people giving up on traditional music lessons, DVD's and one-way downloads in favor of sites that allow them to learn an instrument directly with award-winning teachers from the comfort of their living room and on their time and at their own pace. Under the Video Exchange™ platform, players from absolute beginner to advanced upload videos of themselves playing directly to the site for their teacher's review. The teacher then responds to the student in a personalized video reply with advice on how to improve. Both student and teacher's video are shown together and seen by the entire student community and act as a giant online master class. With new Video Exchanges added regularly, the Video Exchange Library is always expanding and serves as a repository for tips and instruction. Subscribing members also get access to a high-resolution video lesson library, which includes multi-angle camera view selection, slow motion capability and video looping. Artists already using the platform to teach include two time Grammy Award winner and harmonica virtuoso Howard Levy, drumming superstars Billy Cobham and Thomas Lang, turntablist DJ Qbert, pianist Christie Peery, award winning British fingerstyle guitarist Martin Taylor, Swedish jazz guitarist Andreas Oberg, and leading Bluegrass artists Tony Trischka, Mike Marshall, Darol Anger, Missy Raines, Andy Hall and Bryan Sutton. "I was looking for lessons because I wanted very much to take up the fiddle after a half century absence. The lessons are plentiful enough to keep me busy for a very long time and the lessons are well done. As if that weren't enough, it seems that everyone is having fun here and I certainly wanted to be a part of that and, at the end, these lessons are very affordable." "Most of our members have reignited their passion for the music they played in their youth. But now their aspirations are more about enjoying the music they make than starring in a rock band." Based in Napa, Calif., ArtistWorks is part of a wider education technology (EdTech) movement that includes Khan Academy, Lynda.com, Codecademy and Edmodo. A recent LA Times feature on the company highlighted how their patent pending Video Exchange™ technology uses asynchronous learning to deal with issues caused normally by webcast or traditional music lessons. As quoted in the LA Times article, Mike McGuire, a media analyst with Gartner Inc said: "This ability to time-shift interactions is really a spark of genius. As people get further into communication and information overload, the ability for us to pursue something we really love on our own schedule is increasingly important." "The ArtistWorks Video Exchange platform allows any student to get personalized feedback and guidance from some of the world's greatest music teachers, regardless of their location or schedule, for far less than the cost of a private lesson. Over the coming months we'll be expanding our online campus to 23 schools, covering even more instruments, genres and languages." The new super campus at ArtistWorks.com offers lessons in thirteen different styles and instruments including acoustic guitar, rock drums, piano, harmonica, fiddle, jazz guitar, banjo, mandolin, DJ scratching, jazz drums, acoustic bass, fingerstyle guitar and dobro. Gift certificates are also available.